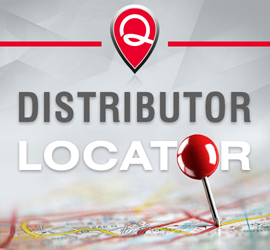 Quest Technology International is an established interconnect supplier offering supply chain solutions to distributors worldwide. Quest provides a stable source of competitively priced quality products for industries servicing installation of Networks; Telecommunications; Broadcast; Security Systems; Low-Voltage & HDMI video products; MRO and OEM for commercial and residential markets. Quest ships out of our 40,000 sq. ft. Miami facility to distributors primarily throughout North and South America. 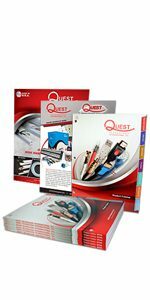 Quest Technology Int’l offers a diverse product selection of interconnect products including UL & ETL verified networking data and voice solutions, including our LocJack Keystone Security Solution; RF connectors; installation tools and testers; computer connectivity; USB, HDMI and Cat5E / Cat6 / Cat6A cabling solutions; Quest is also the strategic marketing partner for Premiere Raceway WireHider, Raceway On-A-Roll and Raceway Latching Duct products. Quest is committed to providing the best possible products and service to our customers worldwide. Shipping in and out of our Miami warehouse is efficient allowing quick delivery and high fill rates both domestically and internationally. Quest also provides availability for special order products, which are manufactured to customers’ custom design and configuration specifications and requirements.